Description: You thought it was all over and went on vacation and then this happens... Those darned baddies are back, but this time they are trying to take over the beach! More levels, more units, more destruction! Instructions: Click troops to select them. 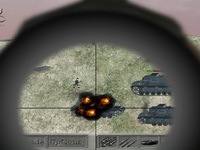 Then use WASD or Cursor Keys to control the troop. Aim with the mouse, Click to shoot. 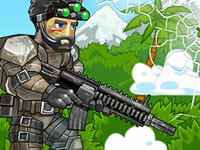 Survive waves of incoming zombies in this great first person shooter! Prepare for the exciting battle with alien robots. 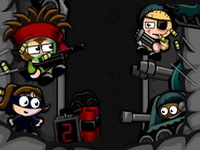 Kill them all in ricochet style to pass the level.